's 2018 volkswagen atlas, a long-term test vehicle we bought in december after naming it our best of 2018, has come down with a case of moonroof maladies. 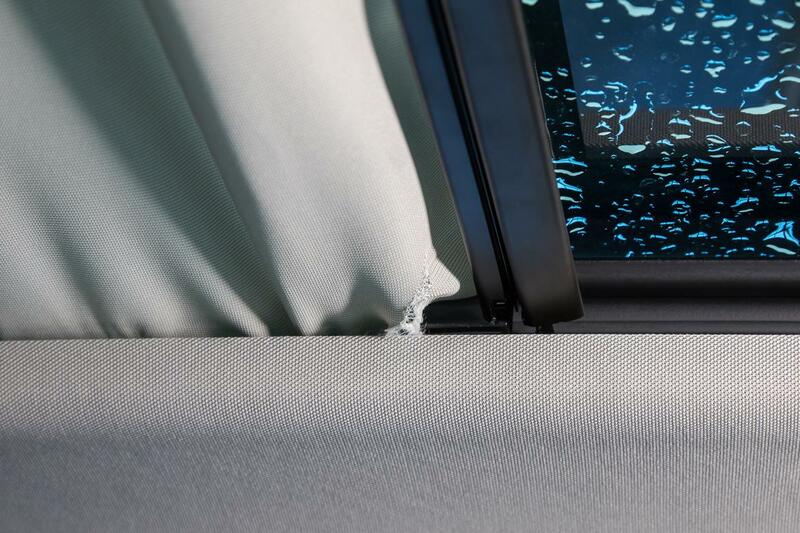 our sel-grade suv sports a panoramic moonroof that extends over the second row, but its power sunshade quit working soon after we took delivery. we made an appointment with a local volkswagen dealership and brought it in on a thursday in july. we asked the dealer to look into two more items: a recall for possible damage to the latch anchor for certain car seats, plus an overactive set of front parking sensors. our service advisor told us his team would address any unrepaired recalls and look into the sensors. all told, the repairs took two replacement sunshades, a lot of disassembly and nearly two weeks. four days in, the dealership's service department called to say our atlas needed a new sunshade and frame, both on order and covered under warranty. if everything went smoothly, the work would finish a few days later. we called later that week to learn the parts were on hand and repairs were underway, but there was quite a bit of work to do. our service representative reckoned the atlas would be ready the following monday — 11 days after we'd dropped it off. monday morning, our guy called. our moonroof shade had hit a snafu, he said, so the dealership had to order a second replacement shade. our atlas wouldn't be ready until tuesday afternoon. tuesday, 12 days in, he called again. at long last, the repairs were complete. we picked up the car the following afternoon and pieced together the intervening events. conversations with two service representatives, plus a veritable short story on our invoice that spanned two pages and 242 words, did plenty of 'splaining. initially, technicians lowered the headliner in our atlas and tried to manually work the sunshade, but it was to no avail. then they removed the entire assembly to reveal a broken gear inside the moonroof frame. armed with a new frame and sunshade, technicians put the new assembly back together outside our atlas. it worked successfully at first; installed back in the suv, however, the shade developed some noisy operation and started catching on the driver's side. technicians removed the assembly again to avoid damaging the new frame. they found the shade was running through its track "with difficulties and would fail completely soon," according to our invoice. the dealership installed a new shade assembly, tested it and found no issues. with a second replacement shade in place, everything finally worked. separately, the dealership ran a software update for our car's onboard computer to address a service campaign tagged 23x1. volkswagen later told us the update rectified an error code in the evaporative system. technicians inspected our atlas' front proximity sensors but couldn't replicate our annoyances. they also inspected the second-row latch anchors, the source of our atlas' latest recall, and found no problems. that inspection, plus a supplement to our owner's manual, should close the recall — although our atlas' vehicle identification number showed the recall as unrepaired in the national highway traffic safety administration's recall database for several days after the repair. alerted of that, our service representative said it could take a few more business days for the recall work to clear volkswagen's claim system. the dealership performed all fixes at no charge to us.